H Peg Powder for Oral Solution works by drawing water into the intestine through osmosis, which makes the stool soft and easier to pass. It also helps clean out the intestines prior to medical procedures or examination. 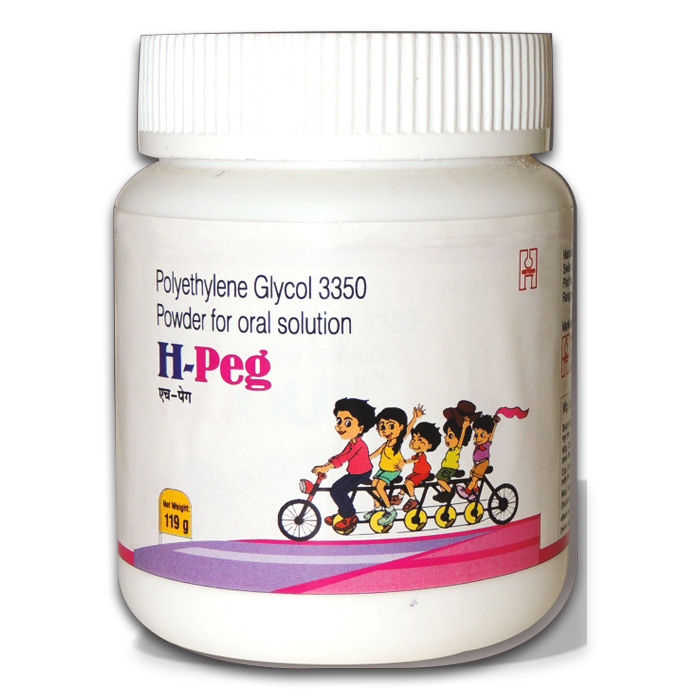 H Peg Powder for Oral Solution is used in the treatment of constipation and intestine preparation before any surgery.